Good things come in small packages. 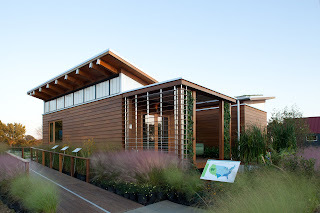 Recently I was privileged to serve as a juror for the U.S. Department of Energy's Solar Decathlon. The Solar Decathlon challenges collegiate teams to design, build and operate solar powered houses that are cost-effective, energy-efficient and attractive. Each house could be no larger than 1,000 square feet, yet the students were able to create beautiful and comfortable homes. Small houses and lots are environmentally preferable in a number of ways, since they reduce the amount of materials needed to construct them as well as the amount of energy needed to heat, cool, and power the space. The winner of the competition is the team that best blends affordability, consumer appeal, and design excellence with optimal energy production and maximum efficiency. A number of the teams reached beyond energy to address other challenges. The University of Maryland team won the overall competition with their WaterShed. As the name implies, the house focuses on preserving a resource essential to life on earth --- potable water. The house is a model of how the built environment can help preserve watersheds everywhere by managing storm water onsite, filtering pollutants from greywater, and minimizing water use. 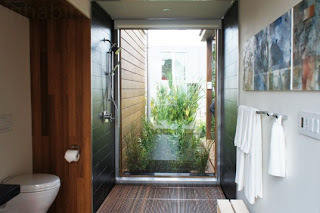 Rain water is collected and reused, a green roof reduces storm water runoff, landscaping features drought-resistant plants and constructed wetlands filter greywater that can then be used for irrigation. The house is made more comfortable by reducing humidity with an innovative solar-thermal liquid-desiccant system developed by the university. Controlling humidity not only enables people to feel more comfortable at higher temperatures, it also discourages mold growth.